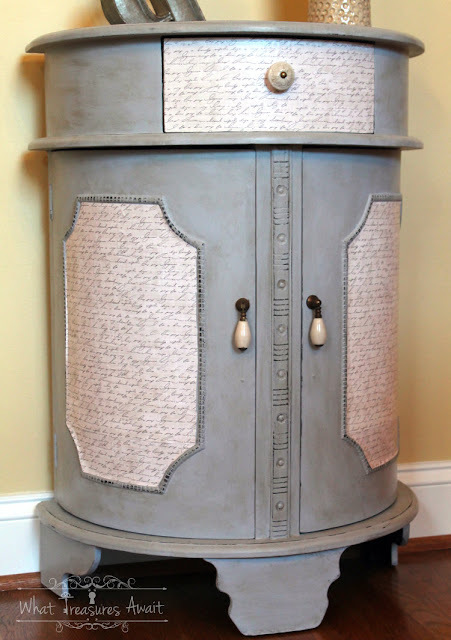 If you like chippy style furniture then you will love this Farmhouse Cabinet transformation by D.D. 's Cottage! We do! She always finds the most unique pieces and then works her cottage style magic on them. I want a cottage to put a piece like this in! 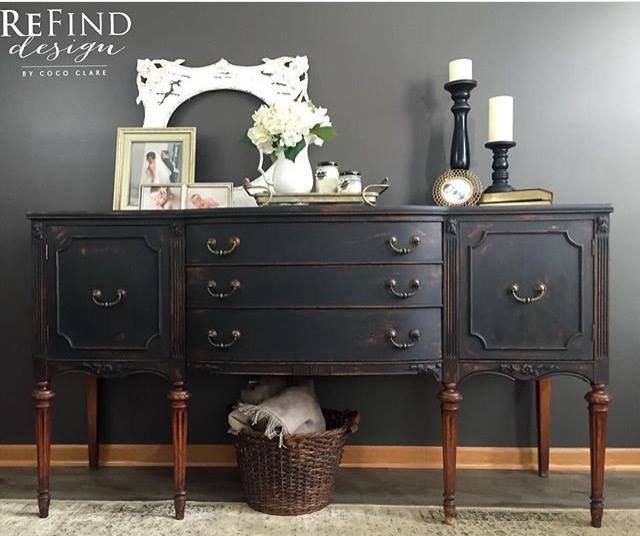 This Gorgeous Buffet by Coco Clare at ReFind Design is drool worthy! The details, and the bare legs... sigh! We love how stylish and black looks on this elegant piece. 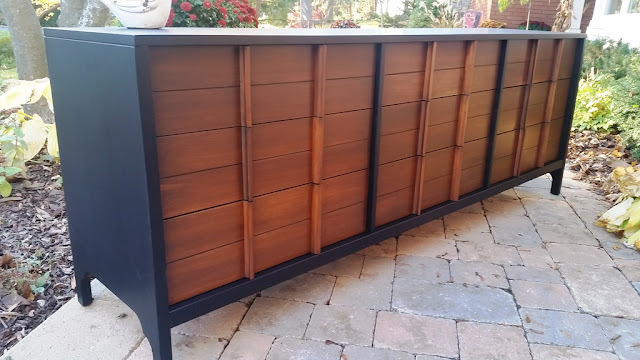 This Mid Century Modern Sideboard looks great in "Lamp Black" with walnut stained drawer fronts. 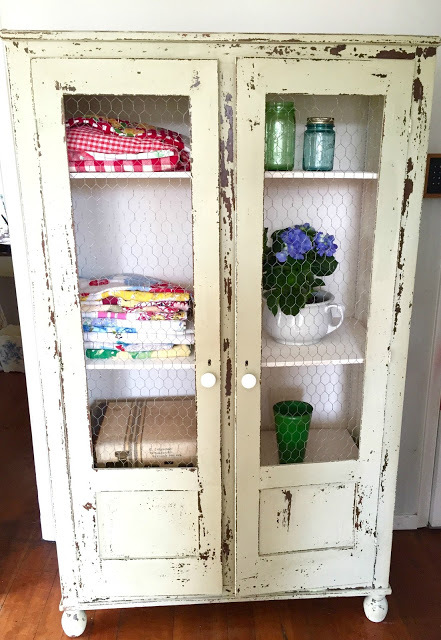 Suzanne from Studio Paint found it at her local ReStore and worked her magic on it! You have to see the before to totally appreciate the dramatic end result! This Empire Library Table was taken to the light side. Ann Marie from Iris Abbey added several layers beginning with white to the bottom of this piece. We love those swirls and curves! There was a tie for the most popular piece. 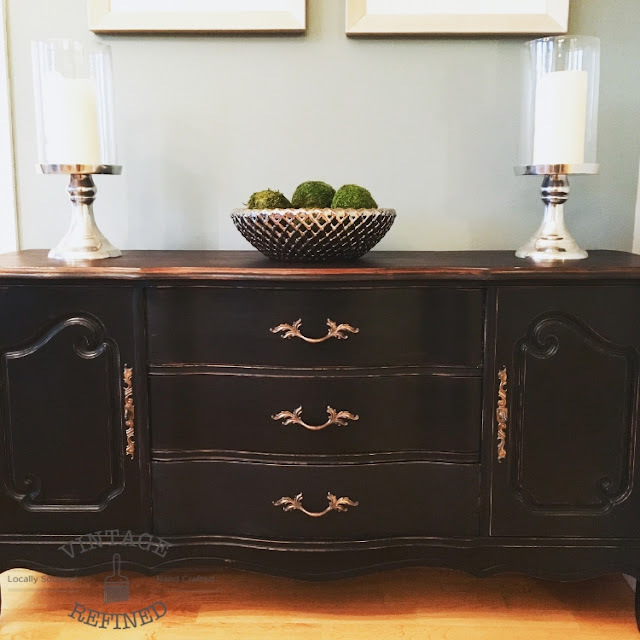 First up is another Black Beauty by Ashley of Vintage Refined. Vintage French Provincial never looked so good and so up to date! 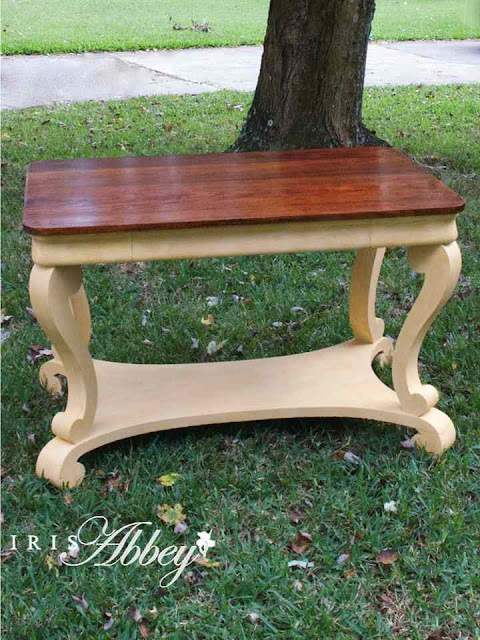 And last but certainly not least, this sweet Side Table Makeover tied for your attention and we can understand why. Crystal of What Treasures Await's attention to details really make it pretty in grey. It helps when you have a stash of beautiful scrapbook paper to choose from. Thanks Colleen for the feature this week!! Love your parties, you are all so talented!